No actual buffalo's were harmed in the making of these straps. 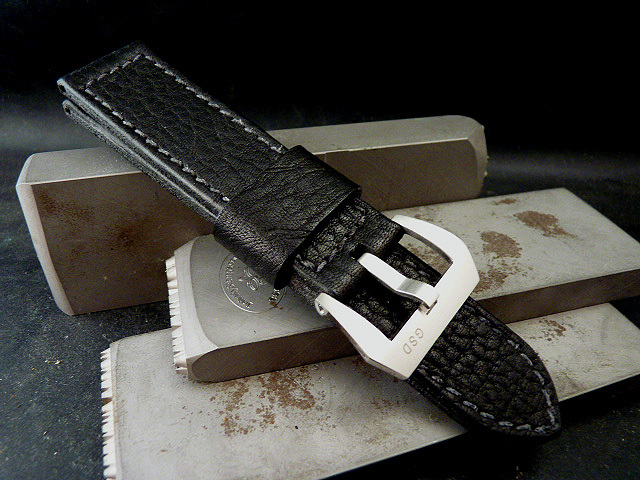 It's simply a cowhide with a heavy "buffalo" grain. 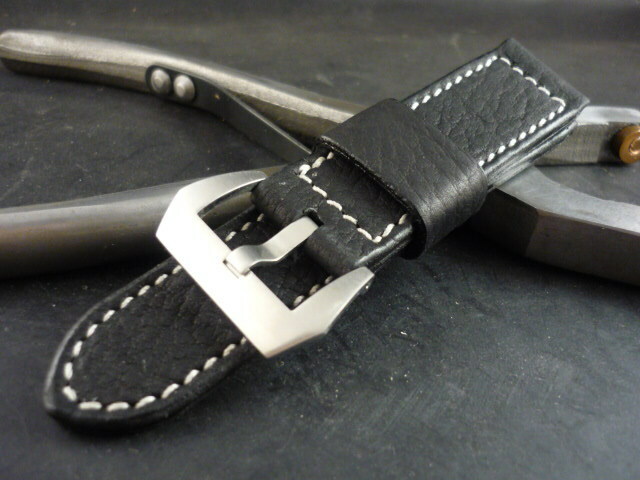 This strap has a nice matte black finish. Looks great with an antique stitch or blue stitch. 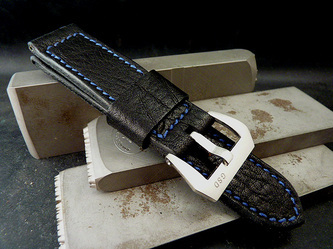 Or, put a black stitch and PVD buckle on this guy for the ultimate in stealth. 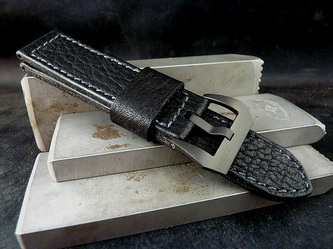 Great strap.